hello, Lovelies! how are you all doing today? 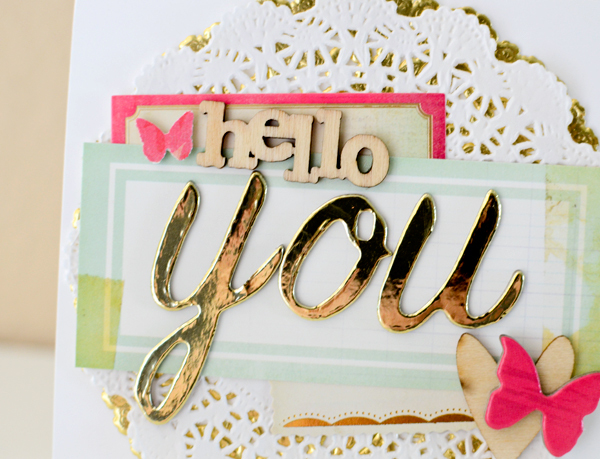 i spent some time in the studio last week making a few cards and i have to say it was really fun! i don't make too many cards anymore, certainly not like i used to, but i do go through phases where that's all i want to make and that happened last week. i still have a lot of my supplies out with the hope of making a few more this week, but we'll see how that goes. 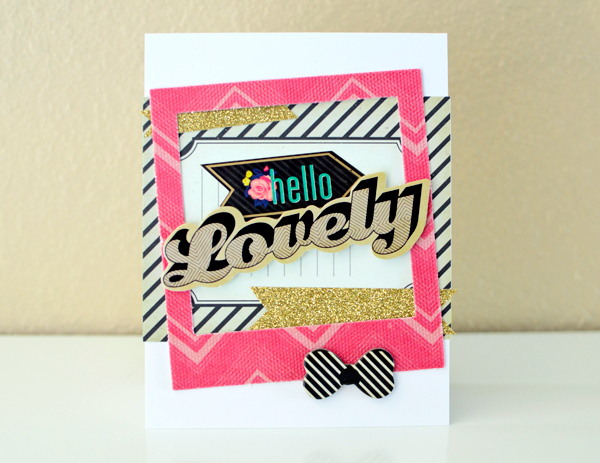 my first card was made from 2 different CP lines--Flea Market and On Trend. they pair really well together, so if you happen to have both collections, i highly recommend mixing and matching. 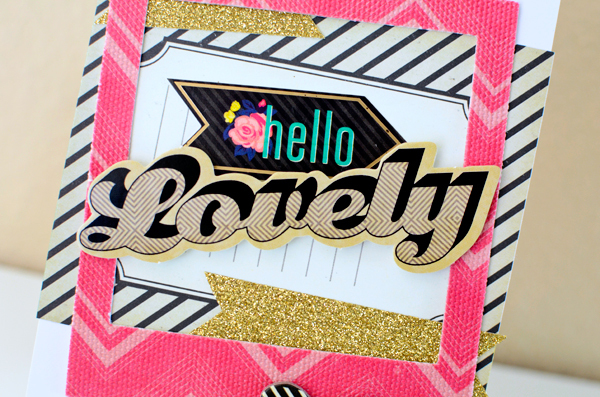 pink and black is a pretty classic combination and i added some strips of gold glitter for WOW factor. 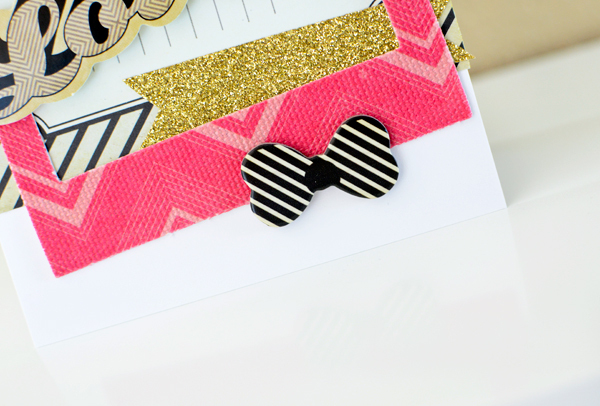 and then there is this black and white bow...anyone else out there loving bows right now, too? i think it took me a bit to get into them but now i'm hooked. 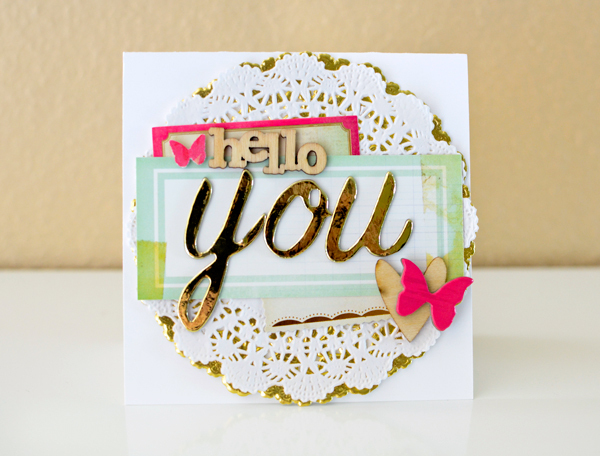 next up is another friendly card made from Flea Market products and doilies. the wood bits are both from Studio Calico. if i had a Crate Paper product wish, it would be for more tiny wood pieces like these--i buy them whenever i see them and hoard them from SC because they are so useful.